[G.R. No. L-9123. November 7, 1956.] THE PEOPLE OF THE PHILIPPINES, Plaintiff-Appellee, vs. CORNELIO MELGAR, Defendant-Appellant. [G.R. No. L-9023. November 13, 1956.] BISLIG BAY LUMBER COMPANY. INC., Plaintiff-Appellee, vs. THE PROVINCIAL GOVERNMENT OF SURIGAO, Defendant-Appellant. [G.R. Nos. L-9238-39. November 13, 1956.] THE PEOPLE OF THE PHILIPPINES, Plaintiff-Appellant, vs. VICTORIO JABAJAB, accused-Appellee. [G.R. No. L-10128. November 13, 1956.] MAMERTO C. CORRE, Plaintiff-Appellant, vs. GUADALUPE TAN CORRE, Defendant-Appellee. [G.R. No. L-9523. November 15, 1956.] GALICANO E. YAP, Plaintiff-Appellant, vs. FRANCISCO BOLTRON, ET AL., Defendants-Appellees. [G.R. No. L-9202. November 19, 1956.] THE COLLECTOR OF INTERNAL REVENUE, Petitioner, vs. JOSE AVELINO and COURT OF TAX APPEALS, Respondents. [G.R. No. L-8717. November 20, 1956.] GENERAL FOODS CORPORATION, Plaintiff-Appellant, vs. NATIONAL COCONUT CORPORATION, Defendant-Appellee. [G.R. No. L-8774. November 26, 1956.] In the matter of the testate estate of the deceased JUANA JUAN VDA. DE MOLO. EMILIANA MOLO-PECKSON and PILAR PEREZ-NABLE, Petitioners-Appellees, vs. ENRIQUE TANCHUCO, FAUSTINO GOMEZ, ET AL., Oppositors-Appellants. [G.R. No. L-9098. November 26, 1956.] A. MAGSAYSAY, INC., Plaintiff-Appellee, vs. CEBU PORTLAND CEMENT CO., Defendant-Appellant. [G.R. No. L-9551. November 26, 1956.] THE PEOPLE OF THE PHILIPPINES, Plaintiff-Appellant, vs. ALEJANDRO PAET Y VELASCO, Defendant-Appellee. [G.R. No. L-9627. November 26, 1956.] MARGARITA ABARCA VASQUEZ, assisted by her husband, GUIDO N. VASQUEZ, Plaintiffs-Appellees, vs. ISIDORA LANDRITO MESAGAL, assisted by her husband, VENTURA MESAGAL, Defendants-Appellants. [G.R. No. L-7644. November 27, 1956.] HENRY LITAM, ETC., ET AL., Plaintiffs-Appellants, vs. REMEDIOS R. ESPIRITU, as guardian of the incompetent MARCOSA RIVERA, and ARMINIO RIVERA, Defendants-Appellees. [G.R. No. L-7645. November 27, 1956] IN THE MATTER OF THE INTESTATE OF THE DECEASED RAFAEL LITAM. GREGORIO DY TAM, Petitioner-Appellant, vs. REMEDIOS R. ESPIRITU, in her capacity as judicial guardian of the incompetent MARCOSA RIVERA, counter-Petitioner, ARMINIO RIVERA, administrator-Appellee. [G.R. No. L-9709. November 27, 1956.] CONCEPCION R. LIM DE PLANAS and ILUMINADO PLANAS, Plaintiffs-Appellants, vs. RICARDO L. CASTELLO, Defendant-Appellee. [G.R. No. L-10060. November 27, 1956.] MARIA S. PASCUAL, Plaintiff-Appellee, vs. JOSE LACSAMANA, Defendant-Appellant. [G.R. No. L-7617. November 28, 1956.] THE PEOPLE OF THE PHILIPPINES, Plaintiff-Appellee, vs. PELAGIO G. YANGA, Defendant-Appellant. [G.R. No. L-8437. November 28, 1956.] 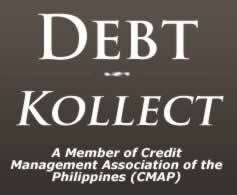 ESTATE OF K. H. HEMADY, deceased, vs. LUZON SURETY CO., INC., claimant-Appellant. [G.R. No. L-8940. November 28, 1956.] CAPITAL INSURANCE & SURETY COMPANY, INC., Plaintiff-Appellee, vs. JOE EBERLY, Defendant-Appellant. [G.R. No. L-8961. November 28, 1956.] ALTO SURETY & INSURANCE CO., INC., Plaintiff-Appellant, vs. ALEJANDRO ANDAN, UY SIOK KIAO, TAN LEE and QUIEN TONG, Defendants-Appellees. [G.R. Nos. L-9391-9392. November 28, 1956.] RIO Y COMPAÑIA (Succesor of Rio y Olabarrieta), Plaintiff-Appellant, vs. VICENTE SANDOVAL, MARIA R. DE SANDOVAL, and RAFAEL R. SANDOVAL, Defendants-Appellees. [G.R. No. L-9476. November 28, 1956.] G. ASSANMAL, Petitioner, vs. UNIVERSAL TRADING CO., INC., Respondent. [G.R. No. L-6584. November 29, 1956.] THE PEOPLE OF THE PHILIPPINES, Plaintiff-Appellee, vs. GUIALIL KAMAD alias MORO JOSE, Defendant-Appellant. [G.R. No. L-6897. November 29, 1956.] In the Matter of the Claim for Attorney’s Fees. CLARO M. RECTO, claimant-Appellee, vs. ESPERANZA P. DE HARDEN and FRED M. HARDEN, Defendants-Appellants. [G.R. No. L-8502. November 29, 1956.] LEONORA T. ROXAS, Petitioner-Appellant, vs. ISAAC SAYOC, as Collector of Customs of Manila, Respondent. [G.R. No. L-8508. November 29, 1956.] MARIA B. CASTRO, Plaintiff-Appellee, vs. SATURNINO DAVID, in his capacity as Collector of Internal Revenue, Defendant-Appellee. E. AWAD AND CO., INC., Intervenor-Appellant. [G.R. No. L-9147. November 29, 1956.] RAFAELA CAMPO, ERNESTO GILUANO, REMEDIOS GILUANO, ROSALINA GILUANO, and FELIX GILUANO, Plaintiffs-Appellees, vs. JUAN CAMAROTE and GREGORIO GEMILGA, Defendants. JUAN CAMAROTE, Appellant. [G.R. No. L-9352. November 29, 1956.] 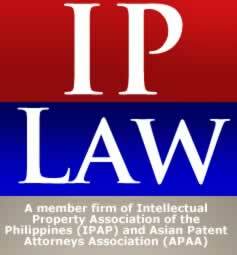 Intestate Estate of the late JOVITO CO, FLORA ROBERSON CO, Administratrix, Petitioner-Appellee, vs. COLLECTOR OF INTERNAL REVENUE, Defendant-Appellant. [G.R. No. L-9657. November 29, 1956.] LEOPOLDO T. BACANI and MATEO A. MATOTO, Plaintiffs-Appellees, vs. NATIONAL COCONUT CORPORATION, ET AL., Defendants, NATIONAL COCONUT CORPORATION and BOARD OF LIQUIDATORS, Defendants-Appellants. [G.R. No. L-9941. November 29, 1956.] PEDRO Z. CLARAVALL, Petitioner-Appellant, vs. FRANCISCO PARAAN, ET AL., Respondents-Appellees. HENRY LITAM, ETC., ET AL., Plaintiffs-Appellants, vs. REMEDIOS R. ESPIRITU, as guardian of the incompetent MARCOSA RIVERA, and ARMINIO RIVERA, Defendants-Appellees. IN THE MATTER OF THE INTESTATE OF THE DECEASED RAFAEL LITAM. GREGORIO DY TAM, Petitioner-Appellant, vs. REMEDIOS R. ESPIRITU, in her capacity as judicial guardian of the incompetent MARCOSA RIVERA, counter-Petitioner, ARMINIO RIVERA, administrator-Appellee. This is an appeal from a decision of the Court of First Instance of Rizal in the above entitled case, which were jointly tried. and that the decedent had left neither a will nor debt. Petitioner prayed, therefore, that, after appropriate proceedings, letters of administration be issued to Marcosa Rivera, “the surviving spouse of the decedent”. Soon thereafter, Marcosa Rivera filed a counter- petition:chanroblesvirtuallawlibrary (1) substantially denying the alleged marriage of the decedent to Sia Khin, as well as the alleged filiation of the persons named in the petition; chan roblesvirtualawlibrary(2) asserting that the properties described herein are her paraphernal properties, and that the decedent had left unpaid debts, and certain properties in Bulan and Casiguran, Sorsogon, and in Virac, Catanduanes, apart from shares of stock in a private corporation known by the name of Litam Co., Inc.; chan roblesvirtualawlibraryand (3) praying that her nephew, Arminio Rivera, be appointed administrator of the intestate estate of the deceased. In due course, the court granted this petition and letters of administration were issued to Arminio Rivera, who assumed his duties as such, and, later, submitted an inventory of the alleged estate of Rafael Litam. Inasmuch as said inventory did not include the properties mentioned in the petition, dated April 24, 1952, of Gregorio Dy Tam, the latter filed, on November 29, 1952, a motion for the removal of Rivera as administrator of the aforementioned estate. This led to a number of incidents hinging on the question whether said properties belong in common to the decedent and Marcosa Rivera or to the latter exclusively. “Other properties are located in Bataan province. In her answer to the complaint, Marcosa Rivera reiterated, in effect, the allegations in her counter-petition, dated July 12, 1952, in Special Proceeding No. 1537, and set up some affirmative and special defenses, as well as a counter-claim for attorney’s fees and damages in the aggregate sum of P110,000.00. Owning to the identity of the issue raised in said Civil Case No. 2071 and in the aforementioned incidents in Special Proceeding No. 1537, both were jointly heard. Later on, the court rendered a decision. The two (2) Cases are now before us on appeal taken by the Petitioner in Special Proceeding No. 1537 and the Plaintiffs in Civil Case No. 2071. 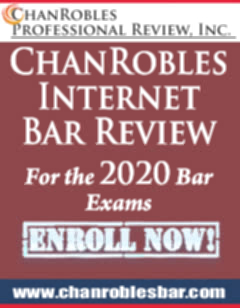 The issues for determination are:chanroblesvirtuallawlibrary (1) Are Appellants the legitimate children of Rafael Litam? (2) Is Marcosa Rivera the exclusive owner of the properties in question, or do the same constitute a common property of her and the decedent? “ cralaw the evidence weikhs very heavily in favor of the theory of the Defendants in Civil Case No. 2071 to the effect that the said deceased Rafael Litam was not married to Sia Khin and that Plaintiffs, are not the children of the said decedent. The Plaintiffs in Civil Case No. 2071 and the Petitioner in Sp. Proc. No. 1537 have utterly failed to prove their alleged status as children of Rafael Litam by a marriage with Sia Khin. “It appears from the evidence presented by the Defendants in civil Case No. 2071 and the administrator and the counter-Petitioner in Sp. Proc. No. 1537 that there was no such marriage between the deceased Rafael Litam and Sia Khin and that the Plaintiffs named in Civil Case No. 2071 are not children of said deceased. The various official and public documents executed by Rafael Litam himself convincingly show that he had not contracted any marriage with any person other than Marcosa Rivera, and that he had no child. In the marriage certificate, (Exhibit 55) it was clearly stated that he was single when he married Marcosa Rivera on June 10, 1922. In the sworn application for alien certificate of registration dated July 7, 1950 (Exhibit 1), Rafael Litam unequivocably declared under oath that he had no child. In the several other documents executed by him and presented in evidence, (Exhibits 19, 21, 22, 23, 46 and 46-A) Rafael Litam had consistently referred to Marcosa Rivera alone as his wife; chan roblesvirtualawlibraryhe had never mentioned of Sia Khin as his wife, or of his alleged children. The witnesses presented by the Defendants in Civil Case No. 2071 and the administrator and counter Petitioner in Sp. Proc. No. 1537 positively testified to the effect that they know that Rafael Litam did not have any child, nor was he married with Sia Khin. An impartial and disinterested witness, Felipe Cruz, likewise testified that he has known Rafael Litam even before his marriage with Marcosa Rivera and that said Rafael Litam did not have any child. “On the other hand, the Plaintiffs in Civil Case No. 2071 and the Petitioner in Sp. Proc. No. 1537 presented in support of their theory the testimony of their lone witness, Luis Litam, and certain documentary evidence. It is noteworthy that the said Plaintiffs and said Petitioner did not present in evidence the marriage certificate of Rafael Litam and Sia Khin, which in the opinion of the Court, is the competent and best evidence of the alleged marriage between them. No explanation has been given for the non-presentation of said marriage certificate, nor has there been any showing of its loss. Neither have said Plaintiffs and said Petitioner presented any competent secondary evidence of the supposed marriage. “The testimony of the lone witness, Luis Litam, cannot be given any credence and value at all. His testimony is mostly hearsay, as according to him, he was merely informed by Rafael Litam of the latter’s supposed marriage with Sia Khin. His testimony is uncorroborated. The court noticed that the said witness was only 22 years old when he testified, and it appears in the petition filed by the Petitioner in Sp. Proc. No. 1537 that said witness is the youngest of all the alleged eight children of Rafael Litam. The Court is at a loss to understand why one or some of the older alleged children of Rafael Litam were not presented as witnesses in view of the unreliable testimony of Luis Litam, and considering that older persons are better qualified to testify on the matters sought to be proved which allegedly happened a long time ago. “The birth certificate presented by the Plaintiff in Civil Case No. 2071 and Petitioner in Sp. Proc. No. 1537 cannot be given even little consideration, because the name of the father of the children appearing therein is not Rafael Litam, but different persons. It is very significant to note that the names of the father of the persons appearing in said birth certificates are Dy Tham, Li Tam, Lee Tham, Rafael Dy Tam, and that said persons were born in different places, some in Amoy, China, another Fukien, China, and the other in Limtao, China. It also appears in said birth certificates that the children’s mothers named therein are different, some being Sia Khim, others Sia Quien, the other Sia Khun, and still another Sia Kian. These documents do not establish the identity of the deceased Rafael Litam and the persons named therein as father. Besides, it does not appear in the said certificates of birth that Rafael Litam had in any manner intervened in the preparation and filing thereof. “The other documentary evidence presented by the said Plaintiffs and Petitioner are entirely immaterial and highly insufficient to prove the alleged marriage between the deceased Rafael Litam and Sia Khin and the alleged statue of the Plaintiffs as children of said decedent. The findings of fact thus made in the decision appealed from are borne out by the records and the conclusion drawn from said facts is, to our mind, substantially correct. Appellants’ evidence on this point consists of the testimony of Appellant Li Bun Lin, who said that he is, also known as Luis Litam; chan roblesvirtualawlibrarythat his co-Appellants are his brothers and sisters; chan roblesvirtualawlibrarythat their parents are the decedent and Sia Khin, who were married in China in 1911; chan roblesvirtualawlibraryand that Sia Khin died in Manila during the Japanese occupation. He likewise, identified several pictures, marked Exhibits I to S, which were claimed to be family portraits, but the lower court rejected their admission in evidence. Although we agree with herein Appellants that this was an error, it is clear to us that said pictures and the testimony of Luis Litam, as well as the other evidence adverted to in the above-quoted portion of the decision appealed from, are far from sufficient to outweigh, or even offset, the evidence in favor of the Appellees. It should be noted that the decedent had admittedly married Marcosa Rivera in 1922. In the very petition of Appellant Gregorio Dy Tam, in Special Proceeding No. 1537, dated April 24, 1952, he alleged that Marcosa Rivera is “the surviving spouse of the decedent”. In their complaint in Civil Case No. 2071, Appellants specifically admitted and averred “the existence of the marriage between said Rafael Litam and Marcosa Rivera” — which would have been void ab initio, and, hence, inexistent legally, if Appellants’ pretense were true or they believed it to be so — and that they had “lived as husband and wife”. Again, although Gregorio Dy Tam, asserted, in his aforementioned petition, that he and his co-heirs “came to know” about the marriage of the decedent and Marcosa Rivera “after the death of Rafael Litam”, the very testimony of Li Bun Lin, as witness for the Appellants, show, beyond doubt, that said Appellants knew, during the lifetime of Rafael Litam that he and Marcosa Rivera were living in Malabon, Rizal, openly and publicly, as husband and wife, and regarded her as his lawful wife. Indeed, in the course of his testimony, said Li Bun Lin alluded to her as his “mother”. In other words, aside from the circumstance that the wedding and marital life of Marcosa Rivera and Rafael Litam is undisputed, it is, also, an established fact that they had the general reputation of being legally married and were so regarded by the community and by Appellants herein, during the lifetime of Rafael Litam. Upon the other hand, Appellants maintain, in effect, that Rafael Litam was guilty of the crime of bigamy; chan roblesvirtualawlibrarythat he had, likewise, willfully and maliciously falsified public and official documents; chan roblesvirtualawlibraryand that, although Appellants and Sia Khin were living in Manila and Marcosa Rivera — whom Appellants knew — resided only a few kilometers away, in Malabon, Rizal where Rafael Litam returned daily, after attending to his business in Manila, the decedent had succeeded, for about thirty (30) years, in keeping each party in complete ignorance of the nature of his alleged relations with the other. Apart from the highly improbable nature of the last part of Appellants’ pretense, it is obvious that the same cannot be sustained unless the evidence in support thereof is of the strongest possible kind, not only because it entails the commission by Rafael Litam of grave criminal offenses which are derogatory to his honor, but, also, because death has sealed his lips, thus depriving him of the most effective means of defense. The proof for Appellants herein does not satisfy such requirement. “Great importance should be given to the documentary evidence, vis:chanroblesvirtuallawlibrary Exhibits 21, 22, 23, 19, 46 and 46-A, presented by the Defendants, in Civil Case No. 2071 and the administrator and counter- Petitioner in Sp. Proc. No. 1537, which prove beyond peradventure of any doubt that the properties in question are the paraphernal properties of Marcosa Rivera. In Exhibit 21, Rafael Litam unequivocably declared under his oath that the money paid by Marcosa Rivera for the fishponds in Obando, Bulacan was her exclusive and separate money which was earned by her while she was still single. In Exhibits 22 and 23, both dated June 16, 1947, same Rafael Litam, also under oath, acknowledge the fact that the sums of P13,000.00 and P10,000.00 loaned by Marcosa Rivera to the spouses Catalino Pascual and Juliana Pascual, and to Juliana Pascual, respectively, are the separate and exclusive money of Marcosa Rivera, in which money Rafael Litam had no interest whatsoever. In Exhibit 19, same Rafael Litam acknowledged the fact that he had obtained, before the outbreak of the second world war, from Marcosa Rivera the sum of P135,000.00 which belongs exclusively to the latter, and that after the liberation, or more specifically, on January 4, 1946, he stole from Marcosa Rivera the further sum of P62,000.00, also belonging exclusively to the latter, which amounts, totalling P197,000.00, exclusive of interests, have not, according to the evidence, been paid to her up to the present. In Exhibits 46 and 46-A, it was acknowledged by Rafael Litam that he had not given any money to his wife, Marcosa Rivera, and that they have actually adopted a system of separation of property, each of them not having any interest or participation whatsoever in the property of the other. These declarations and admission of fact made by Rafael Litam against his interest are binding upon him, his heirs and successors in interests and third persons as well. (Secs. 7 & 29, Rule 123, Rules of Court). “The finding of this Court that the properties in question are paraphernal properties of Marcosa Rivera, having been bought by her with her separate and exclusive money, is further strengthened by the fact that, as it is clearly disclosed by the evidence when Marcosa Rivera married Rafael Litam in 1922, she was already rich, she having already earned and saved money as ‘consignataria’ while she was still single. It also appears that she was born of a rich family, her father, Eduardo Rivera, being the owner of fishponds, commercial and residential lands and buildings, (Exhibits 5 to 18, inclusive), with an assessed value of around P150,000.00 (Exhibits 25 and 42, inclusive), now worth approximately a million pesos, and most of which properties as may be seen from the certificates of title were acquired by him way back in the years 1916 and 1919. When Eduardo Rivera died on February 5, 1942, his cash and jewelry were inherited by his eldest daughter, Rafaela Rivera, and when the latter died single on July 2, 1943, Marcosa Rivera inherited her cash amounting to P150,000.00, Philippine currency, and and her pieces of jewelry. It is with this amount and with the proceeds of the sale of some of said pieces of jewelry that Marcosa Rivera purchased the fishponds in question, situated in Macabebe, Pampanga. “On the other hand, it appears from the evidence that when Rafael Litam was on June 10, 1922, married to Marcosa Rivera, he was poor. He had to borrow from Marcosa Rivera, the sum of P135,000.00 belonging exclusively to her before the outbreak of the war, and to steal from her further sum of P62,000.00 after the liberation (Exhibit 10). The said amounts totalling P197,000.00, exclusive of the stipulated interests, according to the evidence, have not been paid to Marcosa Rivera up to the present. Rafael Litam did not contribute any amount of money or labor to the properties in question, as he and Marcosa Rivera maintained an absolute separation of property (Exhibits 46 and 46-A). Besides, during his lifetime he used to go his office in Manila everyday. “Further strong proofs that the properties in question are the paraphernal properties of Marcosa Rivera, are the very Torrens Titles covering said properties. All the said properties are registered in the name of ‘Marcosa Rivera, married to Rafael Litam.’ This circumstance indicates that the properties in question belong to the registered owner, Marcosa Rivera, as her paraphernal properties, for if they were conjugal, the titles covering the same should have been issued in the names of Rafael Litam and Marcosa Rivera. The words ‘married to Rafael Litam’ written after the name of Marcosa Rivera, in each of the above mentioned titles are merely descriptive of the civil status of Marcosa Rivera, the registered owner of the properties covered by said titles. Appellants’ counsel assail the decision appealed from upon the ground that the lower court had been partial to the Appellees and had not accorded to the Appellants a fair and just hearing. As above pointed out, His Honor the trial Judge could have been, and should have been, more liberal in the reception of evidence. Appellants’ witnesses (Li Bun Lin, Dominador Gadi, Benigno Musni and Rafael B. Suarez) should have been allowed to testify on the alleged title of Rafael Litam to certain properties and on his alleged reasons for the language used in the public and official documents relied upon by the Appellees. However, it is apparent to us that said evidence cannot affect the decision in these cases. The evidenciary value of the testimony of said witnesses would have depended mainly upon their individual appraisal of certain facts, upon their respective inferences therefrom and their biases or view points, and upon a number of other factors affecting their credibility. At best, said testimony could not possibly prevail over the repeated admissions made by the decedent against his own interest in Exhibits 19, 21, 22, 23, 46 and 46-A (adverted to in the abovequoted portion of the decision appealed from), which admissions are corroborated by the fact that the deceased father of Marcosa Rivera was well to do; chan roblesvirtualawlibrarythat aside from her share in his estate, she had, likewise, inherited from a sister who died single and without issue; chan roblesvirtualawlibrarythat the lands in dispute were registered, and some were, also, leased, in her name, instead of hers and that of the decedent; chan roblesvirtualawlibraryand that the latter lived in her house in Malabon, Rizal. Appellants contend that the transactions covered by said Exhibits 19, 21 to 23 and 46 and 46-A, as well as by the other deeds referred to in the decision appealed from, were caused to be made in the name of Marcosa Rivera, to the exclusion of her husband, in order to evade the constitutional provision disqualifying foreigners from the acquisition of private agricultural lands, except by succession. Apart from being based, solely, upon a surmise, without any evidentiary support, this pretense is refuted by the fact that said residential property in Hulong-Duhat, Malabon, Rizal, was acquired on April 12, 1933, or prior to the adoption of our Constitution (see Exhibits Z and AA). Her transactions subsequently thereto, merely followed, therefore, the pattern of her activities before the drafting of said fundamental law. This notwithstanding, we do not believe that Appellants should be sentenced to pay damages. The petition of Gregorio Dy Tam in Special Proceeding No. 1537 and the complaint in Civil Case No. 2071 contain nothing derogatory to the good name or reputation of the herein Appellees. On the contrary, it may be surmised from said pleadings that Marcosa Rivera had no knowledge of the alleged previous marriage of the decedent to Sia Khin. Moreover, the records do not show that Appellants have acted in bad faith. Likewise, we are of the opinion that the lower court should not have declared, in the decision appealed from, that Marcosa Rivera is the only heir of the decedent, for such declaration is improper in Civil Case No. 2071, it being within the exclusive competence of the court in Special Proceeding No. 1537, in which it is not as yet, in issue, and, will not be, ordinarily, in issue until the presentation of the project of partition. Wherefore, with the elimination of the award for damages in favor of the herein Appellees, and of said declaration of heirship, the decision appealed from is hereby affirmed in all other respects, with costs against the Appellants. It is SO ORDERED. Paras, C.J., Bengzon, Padilla, Montemayor, Bautista Angelo, Labrador, Reyes, J. B. L., Endencia and Felix, JJ., concur.